Company Info | Biztek Solutions, Inc.
We Respond Within 60 Minutes Or Less. All of our calls are answered live. The average amount of time it takes for one of our clients to get on the phone with a technician who can start working on resolving their problem is 30 minutes. We know you’re busy and have made a sincere commitment to making sure your computer problems get fixed FAST. And since most repairs can be done remotely using our secure management tools, you don’t have to wait around for a technician to show up. No Tiered Support. All of our technicians have at least 5 years of experience and hold industry certifications. This means when you call for support, you will have a competent technician helping you instead of an intern or entry level employee who will likely waste your time trying to figure out the problem before “escalating” your issue to someone who can actually help you. A la Carte Services. We offer a wide range of services to meet our clients’ needs. We also understand that each of our clients have unique business needs, goals and budgets. For this reason, we do not offer packaged or bundled solutions, but rather allow you to build your solution by purchasing as much or as little as you would like. We also take the time to be sure you fully understand what each service is and what it can do for your business so you can make an informed decision. As IT professionals, our purpose is to help business owners leverage technology to drive efficiency, profits and service. We do this by implementing the RIGHT technology, the RIGHT way to provide the RIGHT solutions. Our customers better understand technology in their business and how it can be used to help leverage their business processes to make them more efficient, organized and profitable. 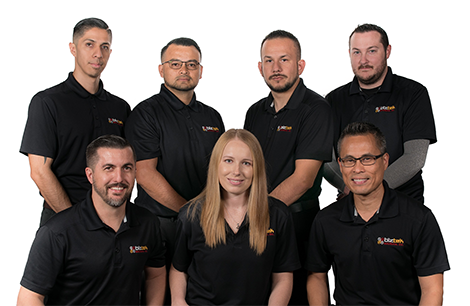 Our goal is to be the leading provider of computer IT services for small businesses in Riverside, CA and the Inland Empire by providing full-service, customized solutions that bring confidence and Peace of Mind to its customers.